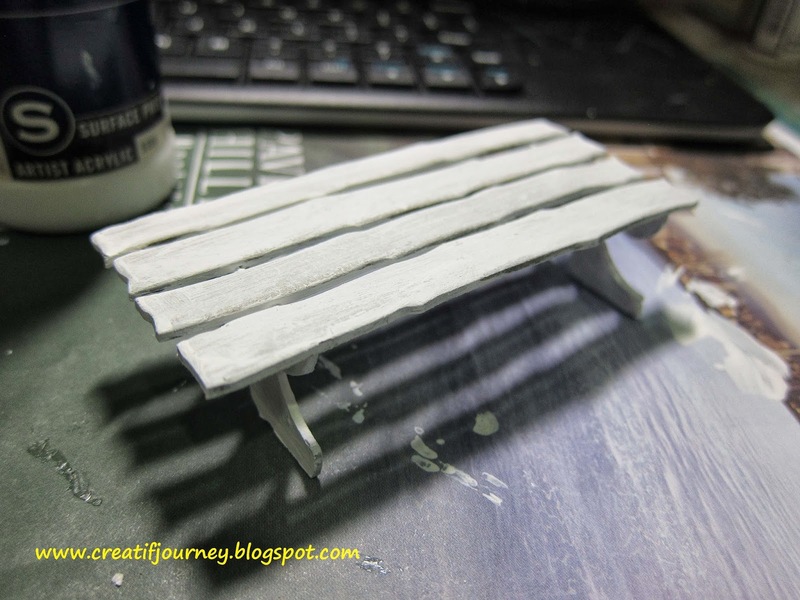 Today I would like to share how I built a wooden garden bench for my current "Magical Garden" project. Following are the steps I went through to build the bench. 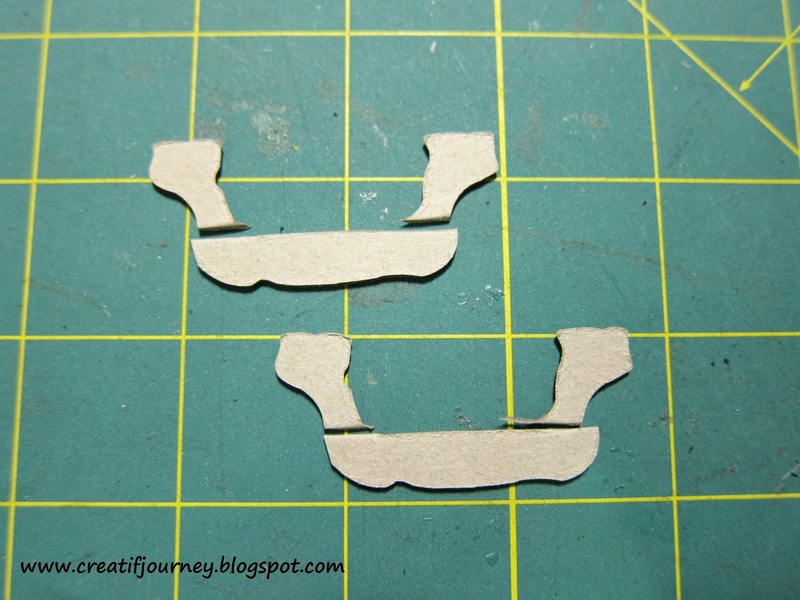 Step 1: Trim off bottom parts of the handles. 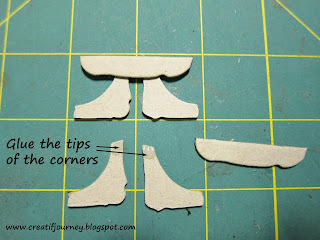 Step 2: Glue the trimmed handle with the corner pieces to form the legs of the benches. 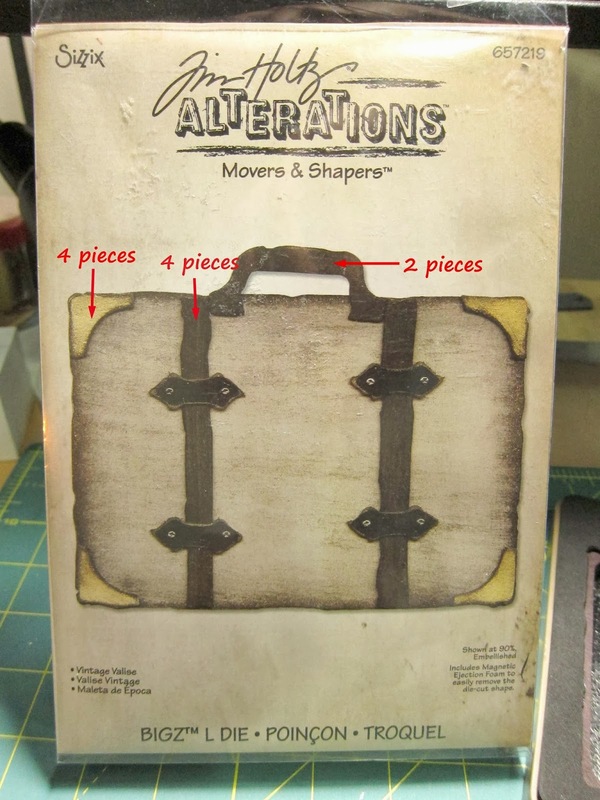 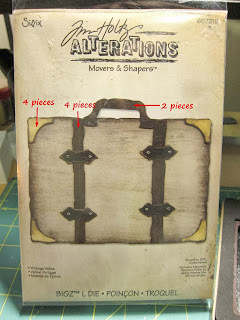 I use Glossy Accents glue but you can use other strong glue/tape. Wait till dry before next step. 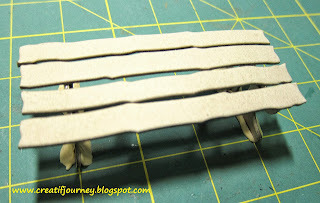 Step 3: Put some glue on the top of the bench legs. 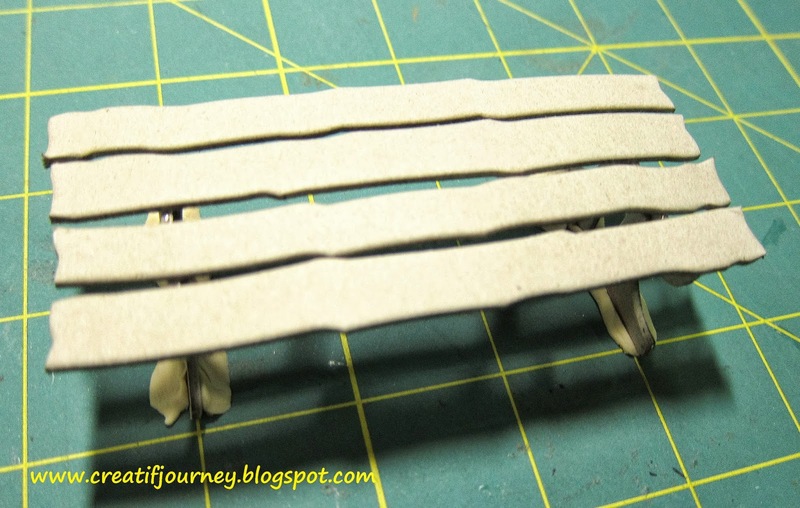 Step 4: Place the strips onto the bench legs and leave it to dry properly before moving it. 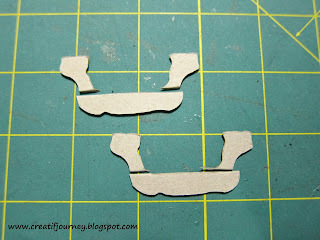 Step 5: Gesso the chipboard. 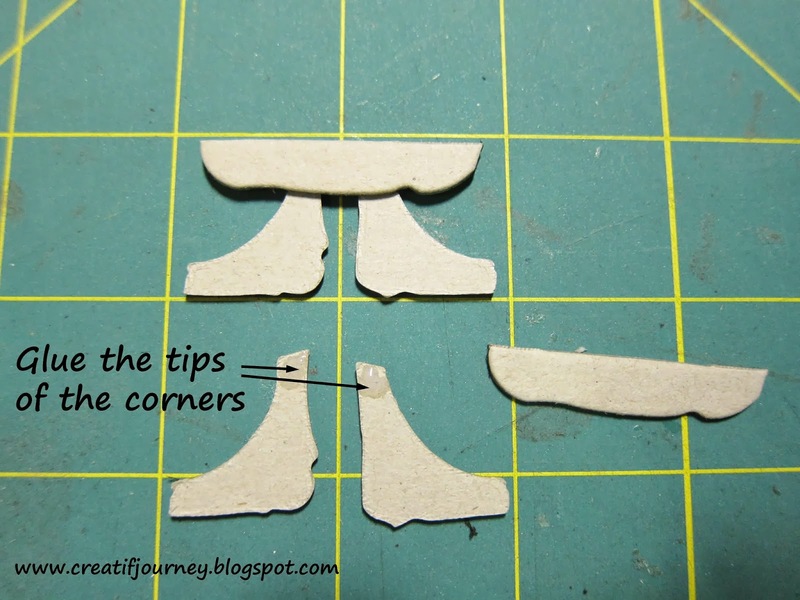 Tip: It is fine to leave the brush lines as they will show up as wood grains. 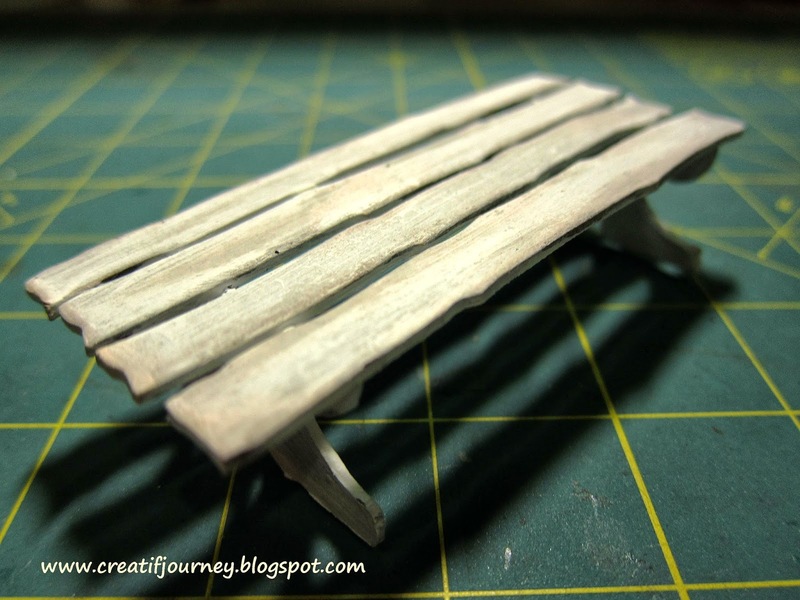 Step 6: Finally, I distress the bench slightly with Tim Holtz Pumice Stone distress ink to add some woody greyish tint for the wood grains. Hope you find the tutorial useful. 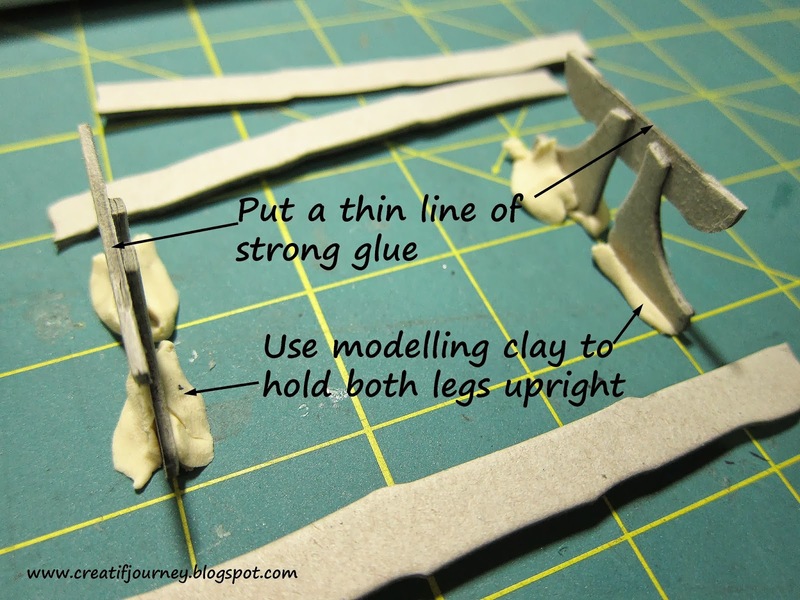 Please feel free to comment especially on how I can make future tutorial better.